In a Nutshell: More and more consumers want to know the money they spend and invest supports a good cause. To act upon the growing sentiment, Member One Federal Credit Union recently unveiled its new plusONE Visa® cashback credit card. This is Member One’s first cash back offering, earning 1% cash back on qualifying purchases and donating another 0.5% of every purchase to its Community Investment Committee, which distributes the funds to nonprofits that support youth, arts, culture, and education in the credit union’s central and southwest Virginia footprint. The card joins a pair of existing Member One Visa-issued offerings that provide members with low rates and rewards points options. Many people who choose to bank with a credit union do so because these institutions focus not only on their members, but on the communities they serve. Credit unions aid in creating healthier and more prosperous regions where worthy causes receive much-needed funding to extend their work. But while some credit unions simply boast about their community involvement, others back up their words with donations of time and money that make a difference. 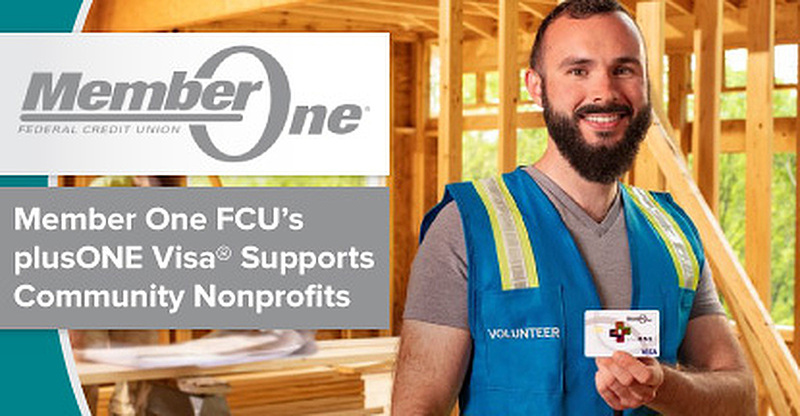 Member One Federal Credit Union recently upped its investment in central and southwest Virginia with the introduction of its plusONE Visa® cashback credit card. The card, launched in June 2018, is Member One’s first cash back offering. Instead of opting for a traditional cashback release, the institution designed a card that blends cardholder rewards and community giveback. “We pay the member 1% cash back on every purchase they make using the card, but we also have a Community Investment Committee that receives an additional 0.5% of each purchase,” said Richard Socha-Mower, Chief Lending Officer at Member One FCU. The committee supports nonprofits that focus on youth, arts, culture, education, health and human services, and sustainability in the Virginia communities Member One serves. The credit union typically disburses donations quarterly but makes exceptions when requested by the nonprofits. 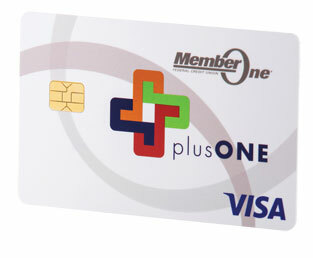 The plusONE card has no annual fee, a minimum credit line of $5,000, and offers quarterly redemption of cashback earned. A 5.90% introductory rate for the first 12 months precedes an ongoing rate that starts at 14.99%. While Member One has a group of nonprofits it regularly works with and supports, the organization’s Community Investment Committee accepts requests from other agencies via an online sponsor form. The committee reviews each form submitted, and, if it approves the nonprofit, can disburse one-time donations along with its regular support of other community causes. “It’s a blend of predetermined nonprofits that we support, but we’re also open to working with groups that come in through our sponsorship form,” Socha-Mower said. Member One specifically designed the four-color logo on the plusONE card to represent its four main areas of community focus — youth, arts, culture, and education. The card is already popular with members despite its infancy. Although the plusONE card is a new Member One offering, the credit union has a history of providing solid Visa-issued credit card choices to its more than 114,000 members. Socha-Mower said the plusONE card rounds out a trio of offerings that appeal to different members. To date, the Everyday Visa is Member One’s most popular offering. The card more than makes up for its lack of rewards with a stellar ongoing interest rate that starts at 9.99%, based on creditworthiness. The card boasts the same 12-month, 5.90% introductory rate as the plusONE card and offers credit limits that start at $1,000 and max out at $25,000 with no annual fee. The card’s more flexible credit requirements make it a top candidate for members who are building or rebuilding their credit profile. The Member Premier Visa Signature card pays one point for every dollar spent and provides perks through its Visa Signature® affiliation. The program gives cardholders access to once-in-a-lifetime travel experiences, luxury hotels, and complimentary 24-hour Visa Signature Concierge service. Cardholders pay no annual fee and benefit from the same 12-month, 5.90% introductory rate as the other Member One cards. The ongoing rate of 13.99% or 15.99%, depending on creditworthiness, competes with just about any other rewards card on the market. All points earned are redeemable for merchandise and travel deals at CURewards.com. Since 1940, Member One Credit Union has maintained a mission to improve the standing of its members and the communities they live in. The institution further solidified that goal with the recent unveiling of its plusONE cash back credit card in support of area nonprofits. “From our point of view, we don’t want to just be a lender of choice, we want to be able to help build our community, so we can have further sustainability — not just one year from now — but 10, 15, 30 years from now,” Socha-Mower said. He additionally pointed out that the credit union’s members appreciate Member One’s community involvement and want to further support the institution because of it. With its current menu of credit card options, Member One feels it now offers something for everyone.